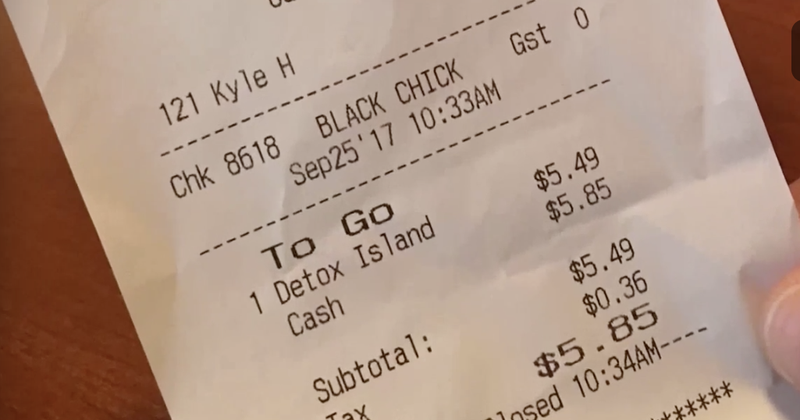 Cassandra Peoples is especially upset because she says that the employees at the Tropical Smoothie Cafe asked her for her name while taking her order, only to completely dismiss that detail on her receipt. “When I saw ‘black chick’ where the name was supposed to be, I’m like, ‘I know I told them Cassandra,’” Peoples told MYCBS4. After seeing her receipt, Peoples attempted to reach out to the store’s corporate office but did not manage to get into contact with anyone because the phone call went straight to a voicemail box. “I mean, I want some answers,” Peoples said. Tropical Smoothie Cafe, LLC is aware of the incident that occurred at the Gainesville location, which is owned and operated by an independent franchise. This type of conduct clearly does not reflect the values of our brand or our commitment to creating a welcoming environment at each and every location. We have been in contact with the franchisee and understand that he acted quickly by terminating the employee. We apologize to all of our loyal guests and want to make it clear that these actions are not representative of the other hard-working team members at this franchised location or our brand.